Buy a Wheelbarrow ($50) Enable the transporting of soil for the community garden. Construct a Hand-Washing Station ($400). Good sanitation is key to good health. Finance a Floor ($1,000). Concrete that will be the foundation of our classrooms. Build a Composting Latrine ($4,000). These are eco-friendly and a major improvement in sanitation. Sponsor a Classroom ($12,500). One-quarter of a full school block. Major Donor to MicroEnterprise ($20,000). You’ll have a 20% share in the community center. Sponsor a School Block ($50,000). Four classrooms, all in a row, that will educate 200-300 kids *every day*! Planning a birthday party for yourself or someone else? Take your or their age and multiply it by 10 (or 100!) as a fundraising goal. Get your organization, work department, club, sorority or fraternity to sponsor an entire classroom or school block. Make a pitch to have the village community project be the beneficiary of your company’s annual fundraiser for making the world better. 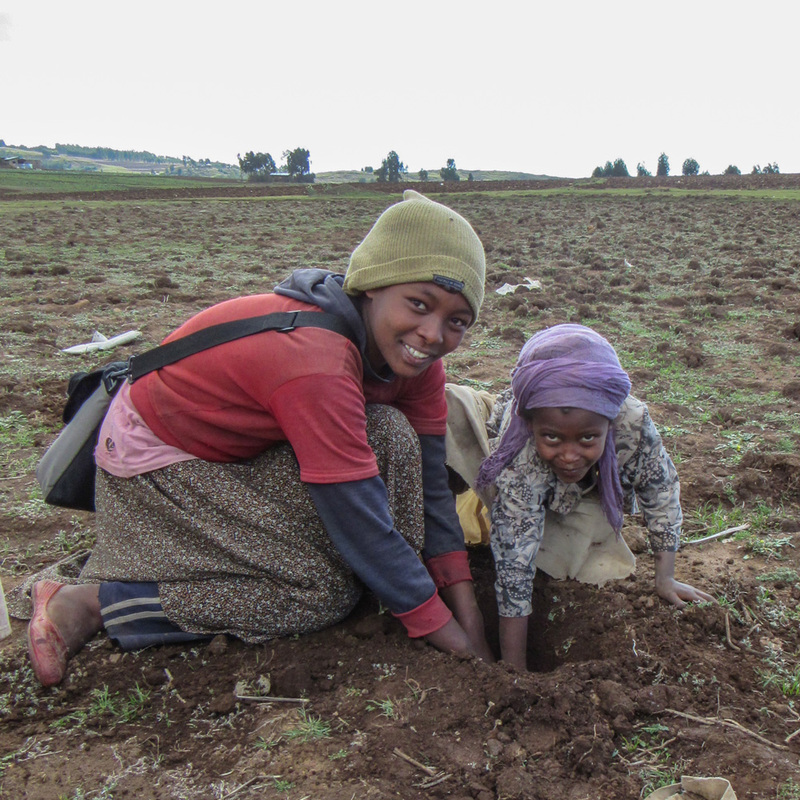 Offer your 5k, 10k, or marathon run as a fundraiser for The Community Project: Ethiopia. Find an Ethiopian food restaurant (or any restaurant) willing to donate funds per-meal (or a percentage per-dinner-check) and invite all your friends! Find people with houses or fun services to donate. Then: auction off a couple of nights in a cabin the woods and throw in a dogsled ride. The sky’s the limit!